Hi my name is Kammy Jones and I'm from Florisssant, MO. 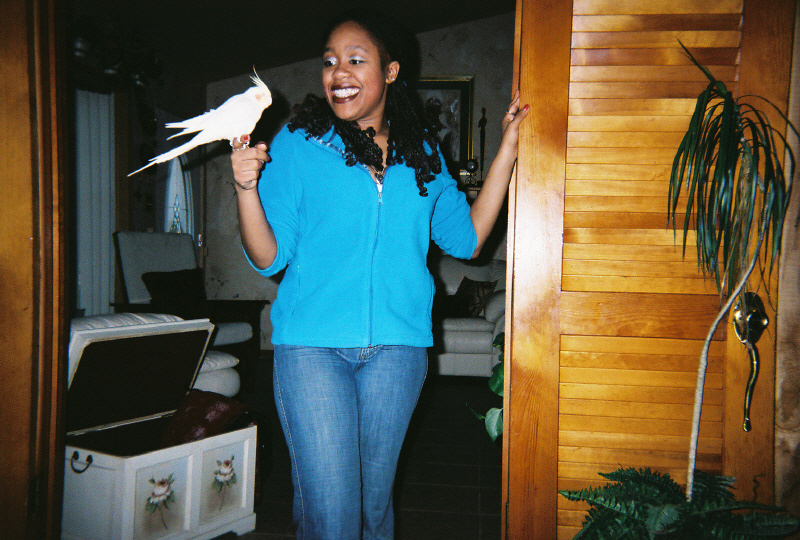 This is a picture of me and my pretty yellow cockatiel, Sunny Jones. I've had her for 2 yrs. now Cockatiels have always been one of my favorite birds. In this pic I am giving her a big smile, while she looks at the camera.